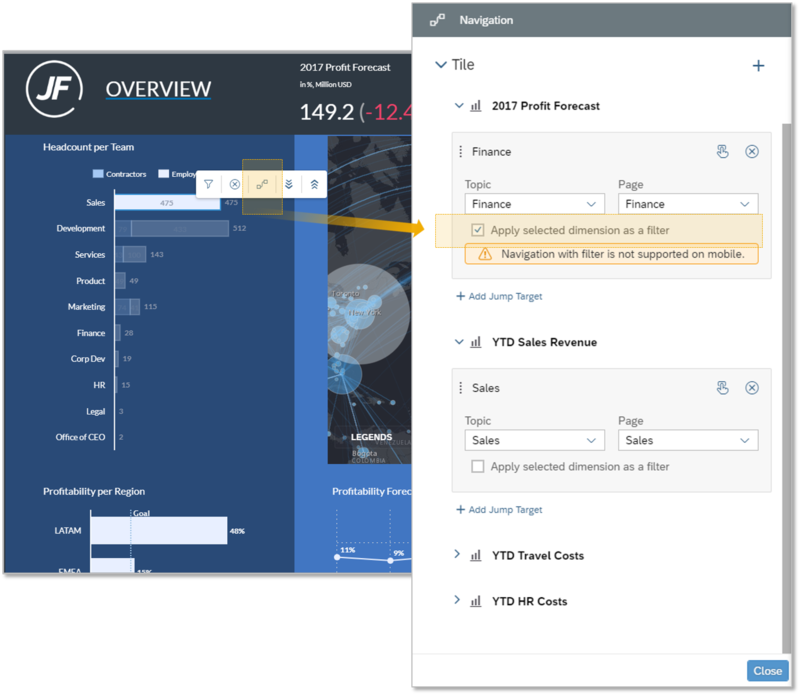 This blog covers some of the latest new features and enhancements in SAP Analytics Cloud and SAP Digital Boardroom release 2018.11. Please note that the Analytics Cloud Help documentation is updated at the same time as the upgrade to this release, so the links here may not yet reflect what is described below until after the upgrade is complete. 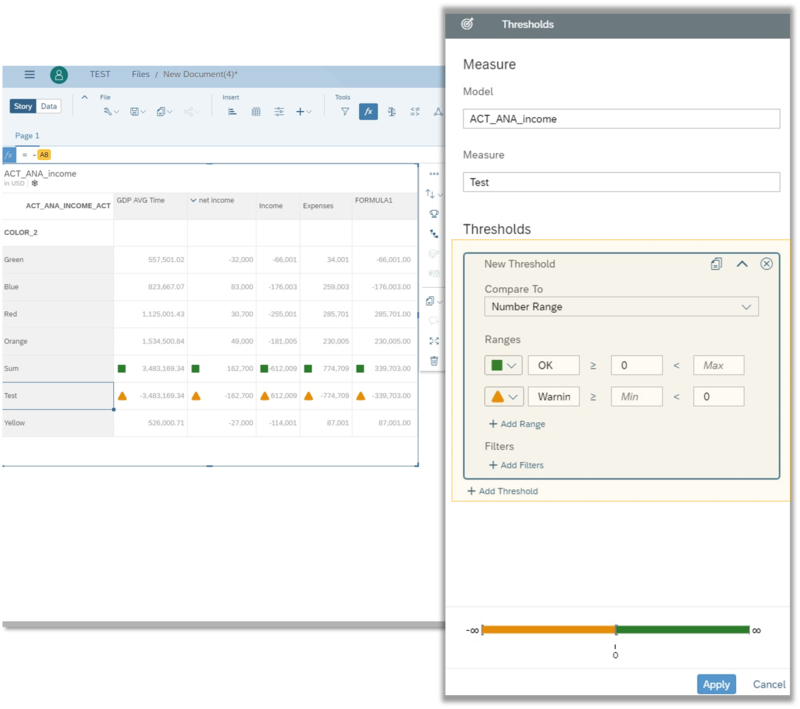 Upgrade your SAP Analytics Cloud agent to the latest agent version 1.0.107 to take advantage of all the data acquisition types! Gone are the days of going back and forth when editing public versions. You can now use the main menu to publish or revert your changes instead of entering the version management panel. 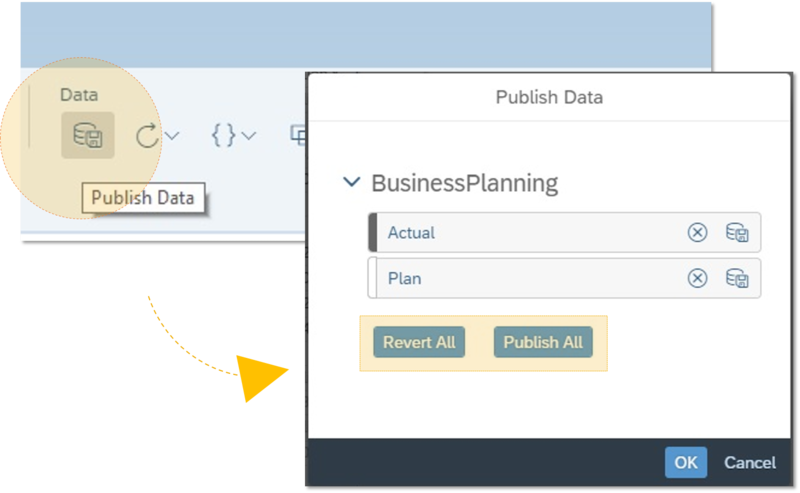 We’ve introduced a specific “Publish Data” button on the toolbar which will bring up a list of versions in edit mode where you can publish or revert the state for these versions. Learn more about editing public versions here. Tracking the status of your input tasks is simple. As a task owner, you can view the workflow status of your input task in hierarchical form. You can see an overall view of the status state for the participants nodes, or see the specific details and state by node and assignee. 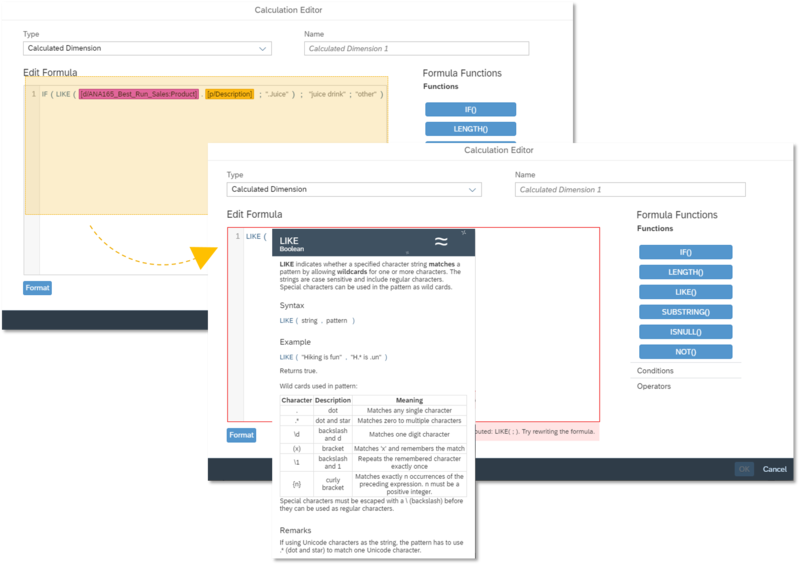 Learn more about working with assigned input tasks here. We’ve made your financial planning even easier. You no longer need to use the “unbooked” setting when adding new dimension members to your table. With our new update, members-on-the-fly are virtual members which behave like front-end calculations. 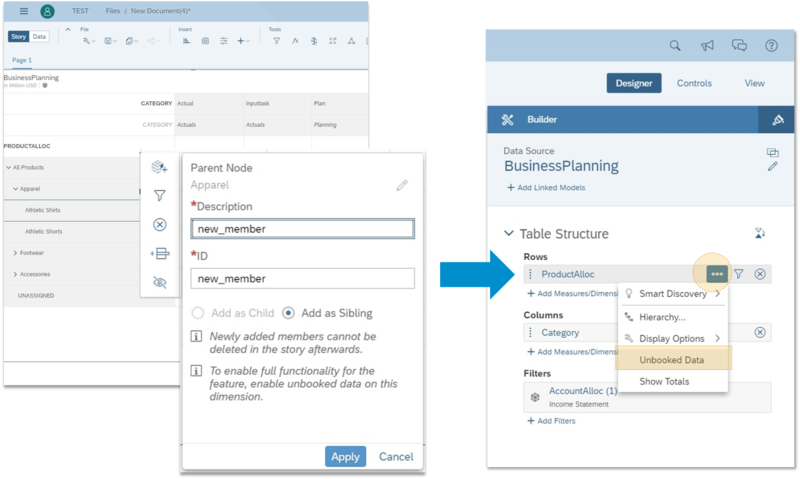 Here is more information on creating new dimension members in a table. Let your inner artist thrive! You can now create thresholds based on calculated rows or columns. A threshold panel gives you the opportunity to define the thresholds and set symbols as well as colors for the grid. Learn more about using thresholds in charts and tables. We’ve redesigned the calendar feature to make consolidated plan management and tracking much easier. You can now group and relate planning activities by creating a hierarchy of processes, and incorporating individual tasks as discrete work activities for any specific process: i.e. leaf members to a given process. Improved status handling via aggregation allows participants to have a better view of their work. 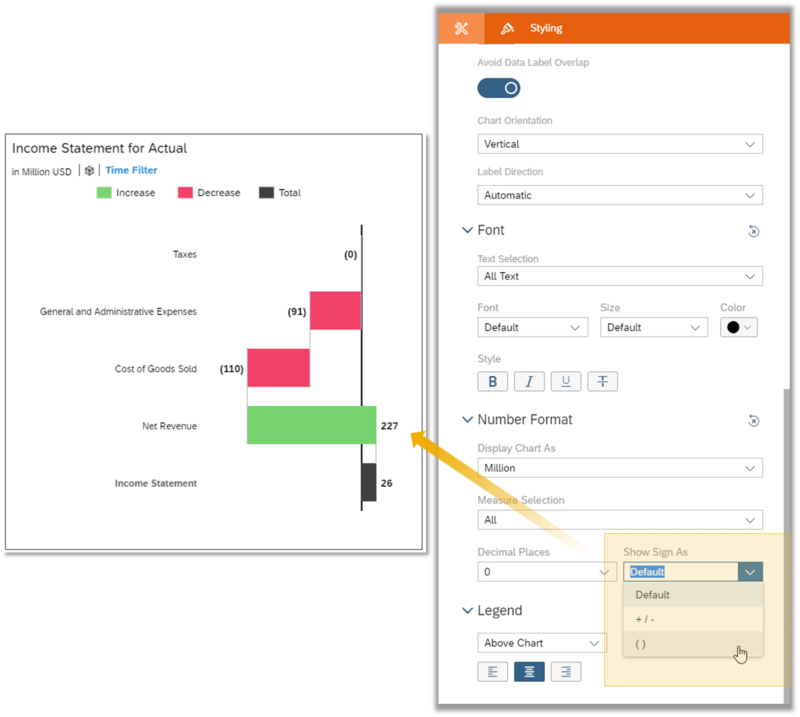 Additional enhancements include the ability to color code processes and tasks to further differentiate them. 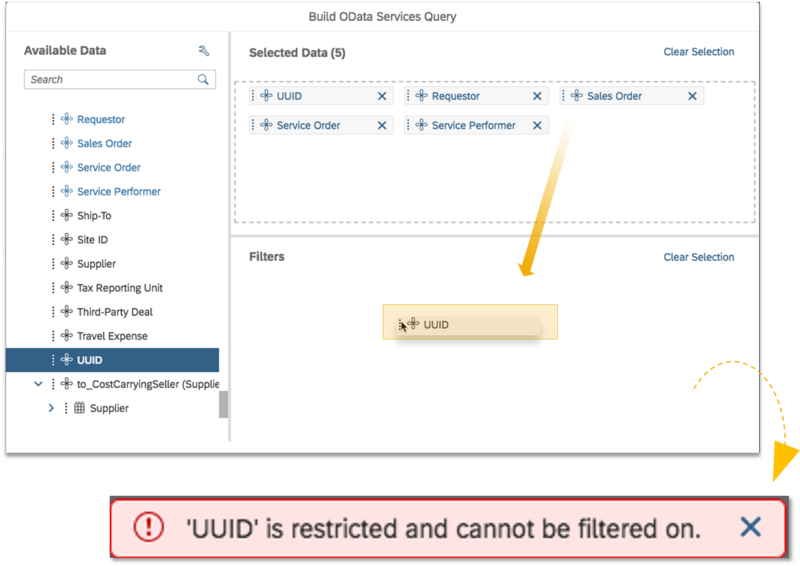 The data import connector for generic OData has been further enhanced to allow the import of GUID data types, provided it is exposed by the underlying OData service. 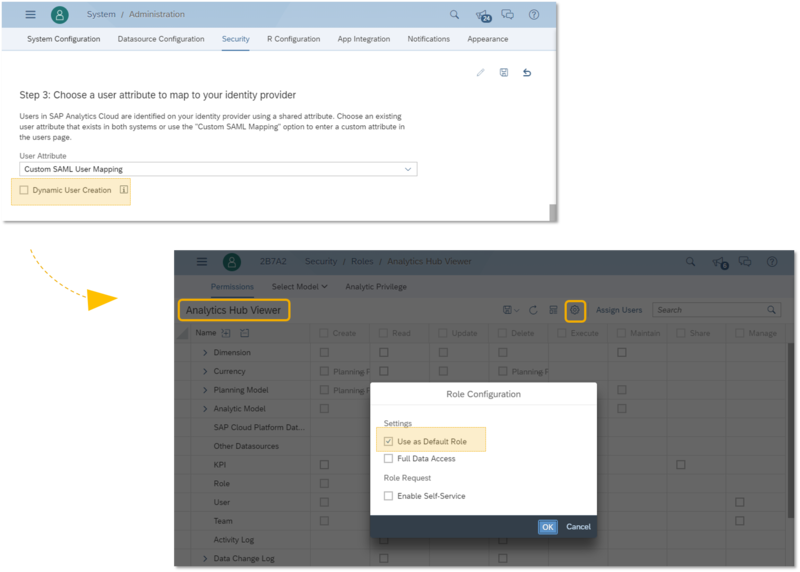 The imported GUID data types can then be leveraged within SAP Analytics Cloud for data blending or advanced linked analysis use cases where the unique identifiers can be used. Find out how to import OData services data to a new or existing model here. 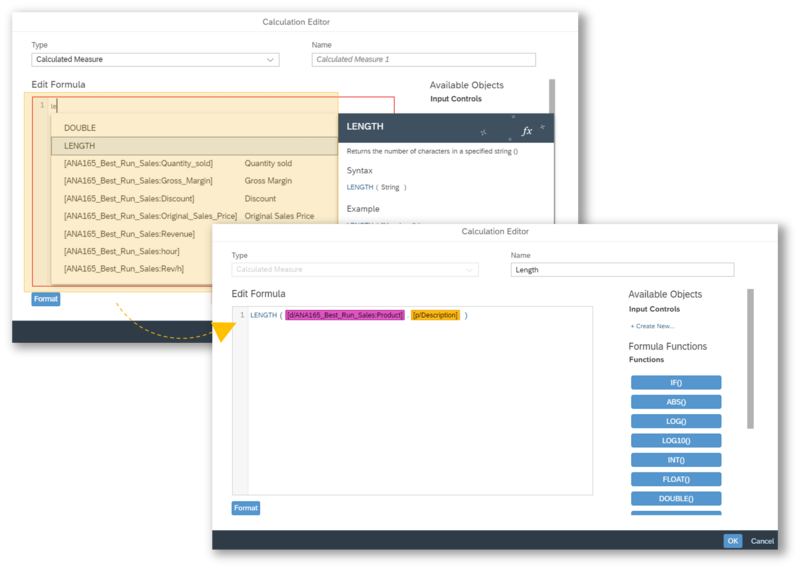 You can now directly export an SAP Analytics Cloud model to S/4HANA Cloud via the export workflow. 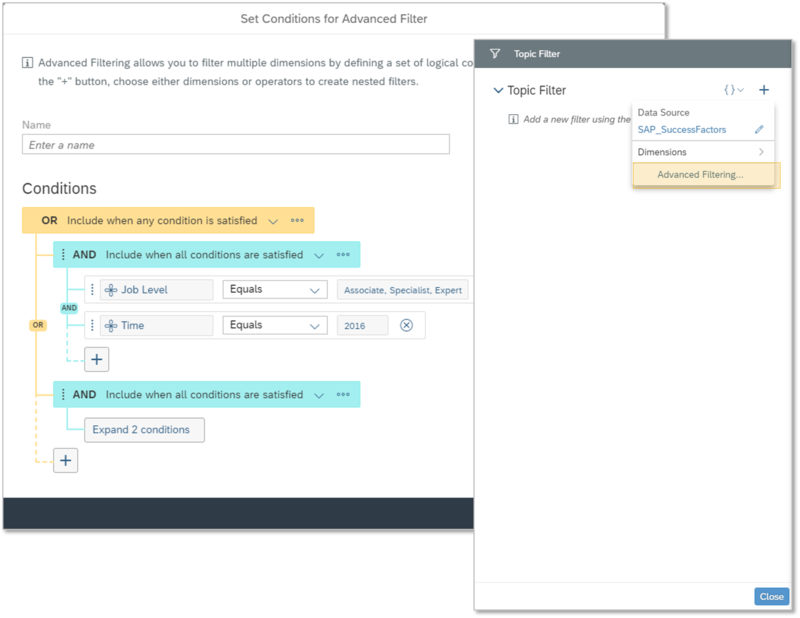 For financial planning scenarios with S/4HANA Cloud, you can now push SAP Analytics Cloud data back into S/4HANA Cloud. This scenario allows the user to map the SAP Analytics Cloud planning model dimensions to the S/4HANA Cloud ACDOCP table. As a content creator, you can define an advanced filter for topics. Seamlessly view and change the advanced filters during your presentations. Learn more about advanced filtering. 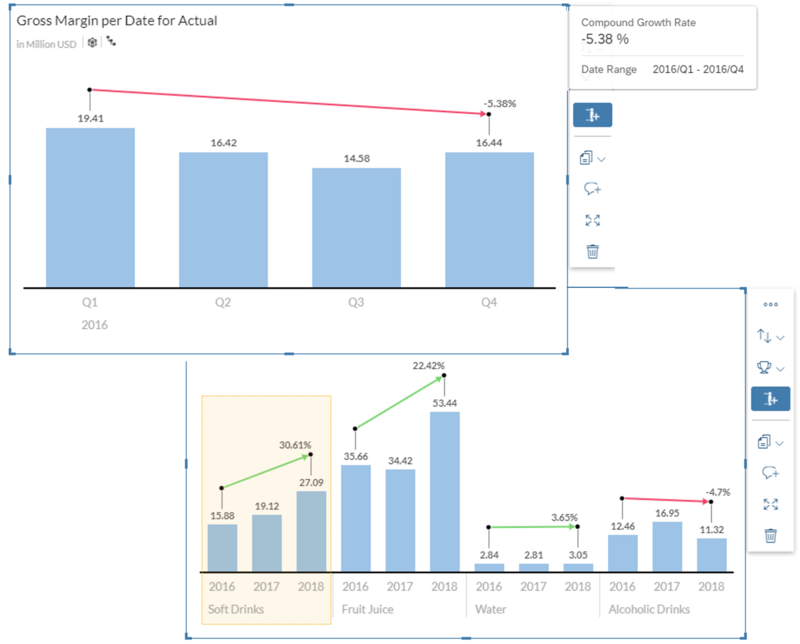 Set a chart or table to use the data point selected as a filter in the navigation panel. Easily select a value on a chart or table to jump to a topic once you apply the value as a story filter. Oh rats! We forgot to tell you about a fantastic feature introduced in Release 10! As part of our new Intelligent Enterprise Ecosystem, we’ve opened the business content repository to our partners! Check out the new 3rd Party Business Content in the Content Library. 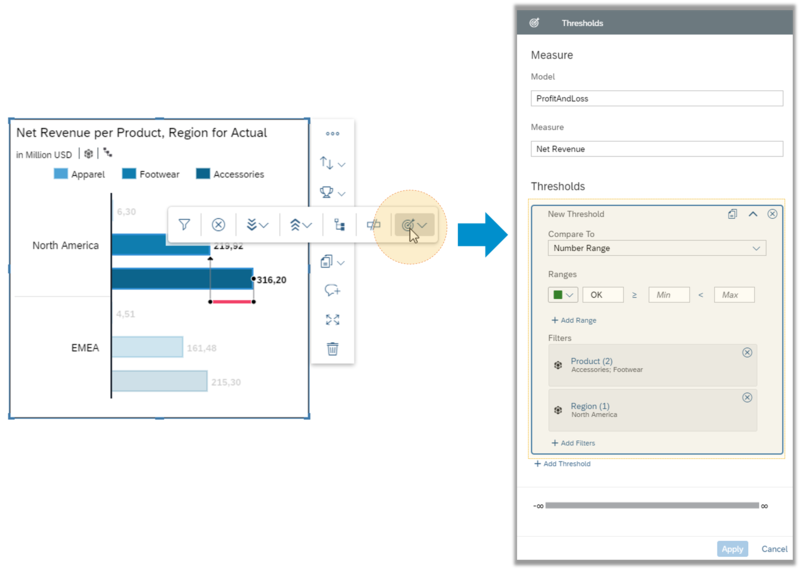 We’ve streamlined the process for creating an SAP Analytics Hub account. We’re dynamically creating user accounts for both SAP Analytics Cloud and SAP Analytics Hub users who have valid SAML accounts. You can now add a Compound Growth Rate (CGR) for bar/column and stacked bar/column charts with a time dimension. We’re still perfecting this feature so please note that this is for one measure scenarios with single versions. Also, integrated variance types, and live Universe and BW connections are not yet supported. You can now create a length calculation for string values with import data connections. This is available for both calculated dimensions and measures and returns the length of a string. Create Substring calculations for string values with import data connections. Not only is this available for calculated dimensions, it’s also available within an IF function in calculated measures. The result set is a specific part of the string. You can now create Like calculations for string values with import data connections. In calculated dimensions to determine whether characters in a string match a specified pattern using a regular expression. Don’t worry, the syntax is not case sensitive. Story designers, you’ll love this! Create thresholds directly from your charts by simply selecting the data points in the chart. All relevant fields in the threshold builder dialog are pre-filled allowing for an easier and a more efficient experience. Check it out! 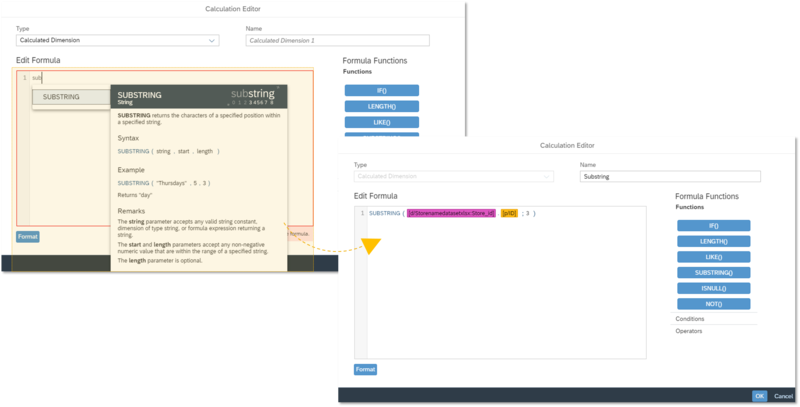 Story designers can now format the number of decimal places in charts and variances. If you love showing negative signs, you can do that too! You can find this setting in the styling panel under number formatting. The default number of decimal places specified in the model is preserved. The range is from 0-7 decimal places unless specified otherwise in the model. We’ve improved the manual styling process. Story designers can apply style formatting to selectable sections such as header region, data region and dimension. This enhancement allows for a more flexible and efficient styling experience. We’ve improved the highlighting of selected cells in table for linked analysis. You can easily see what filter selections influence other charts on the page with linked analysis. Learn how to create a linked analysis. Story designers can specify the time zone when using Current Date in Date Difference and Difference From calculations. This allows designers to see the exact calculation output no matter the time zone difference. The third party business content is especially interesting. How I publish my supply chain analytics (models and stories) for other teams to preview and use?